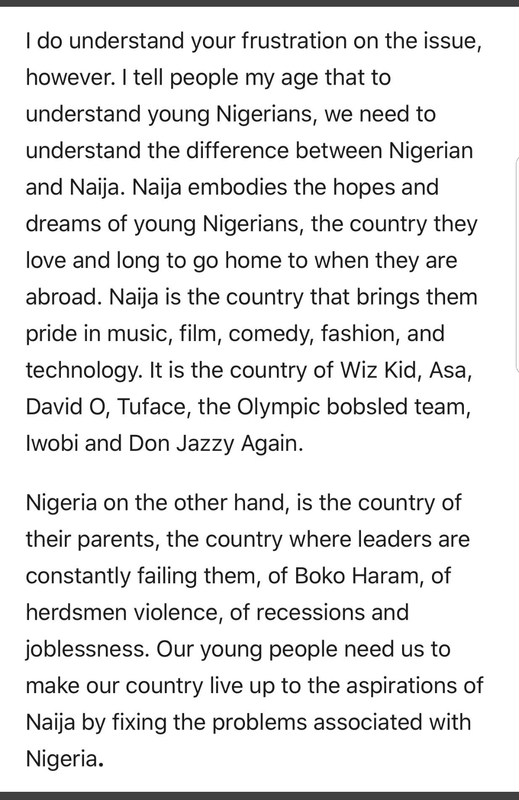 The difference between Naija & Nigeria!!! The difference between Naija & Nigeria. – Atiku Abubakar on Twitter. We cannot solve our problems with the same thinking we used when we created them!!! We are the change we seek!!! Only the wisest and stupidest of men never change!!! The past cannot be changed. The future is yet in your power!!! “The past cannot be changed. You cannot change your future!!! You cannot change your future. But you can change your habits and surely your habits will change your future.